One of Nelson’s premier blues band will grace the stage at the 6th annual Blues Brews and BBQ at Finley’s on Saturday, March 2. The show follows a performance at the Balfour Beach Inn on March 1. Kootenay Blues Society and Kootenay Co op Radio are proud to present a reunited Mystery Train for two nights of fun loving Blues. 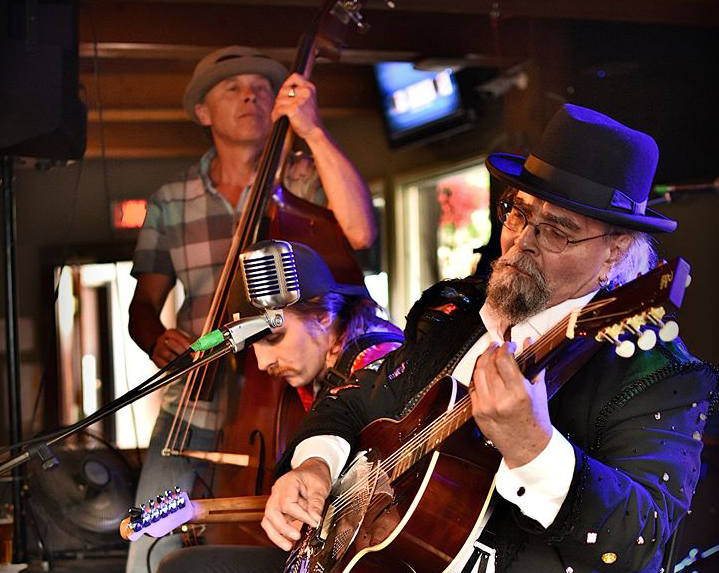 Mystery Train is one of the first blues bands to come out of the early 90’s blues scene in Nelson and it’s members were some of the area’s “cream of the crop” blues musicians at the time. When the band first got together, they started playing a regular Thursday night spot at The Royal in Nelson. The band at that time consisted of Aylie Sparks: vocals and slide guitar; Wayne Berezan: vocals and guitar; Kelly Fawcett: vocals, bass; Marvin Walker: drums. They played a great mix of jump blues, swing, Chicago blues and funk and quickly developed a rabid following of enthusiastic blues lovers who were quick to fill the dance floor. The band this time around will feature: Kelly Fawcett on vocals and guitar; Wayne Berezan on vocals, guitar and dobro; Marvin Walker on drums; Mark Spielman on bass; and special guest, Clint Swanson on sax. Opening the show on Mar 1st. will be bluesman, Sam Hurrie. Nelson’s own, Flaming Aardvark Quartet will open the Blues, Brews and BBQ show. The shows begin at 6:30 p.m. in Balfour and 7 p.m. at Finley's in Nelson.